Settlers first came to the area in 1701 seeking gold and silver, but instead found vast amounts of lead. Madison County was formed in 1818 from Cape Girardeau and St. Genevieve Counties. St. Michael, which later became Fredericktown, was settled in 1799 by French settlers. One theory as to the origin of Fredericktown's name is that it was coined in honor of Captain George Frederick Bollinger, a young pioneer and statesman. The Battle of Fredericktown took place in 1861 when Confederate General M. Jeff Thompson led 3,000 men into southeast Missouri. When Union forces took possession of Fredericktown, the town was set afire and several houses destroyed. There are many things to see and do in the area. The Missouri Whitewater Races feature slalom and down-river races for kayaks, open canoes and decked canoes. The Azalea Festival offers springtime fun, including arts and crafts, carnival rides, 5-K run, contests and more. The Firecracker Fourth offers an old-fashioned Independence Day celebration with arts, crafts, food, contests, music and a fireworks display. Exciting rodeo events with professional cowboys can be seen at the IPRA Rodeo. A reenactment of the Battle of Fredericktown is now held every other year during September. Also of historic interest is the circa 1899 Madison County Courthouse in Fredericktown. A wide variety of attractions await throughout Madison County, Missouri. Never has one area offered so many rewards for those looking to experience Missouri natural resources. Millstream Gardens Conservation Area is highlighted by the St. Francois River as it flows through shut-ins to create the only whitewater in Missouri. It is used by kayakers in the spring and its mile-long hiking trail along the river provides views of rocky landscape and woodland life. The semi-private Fredericktown Country Club offers 9 holes for golfing. Marble Creek and Silver Mine have tent sites, trails and ADA access. 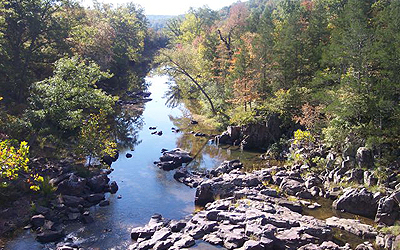 Nearby Mark Twain National Forest lies within the Ozark Plateau. It covers 1,487,009 acres with 350 miles of rivers and streams. Its features include Greer Spring and the Eleven Point National Scenic River. There's also the Silver Mines and Markham Spring Recreation Areas, Songbird Trail at Watercress Spring, Turner Mill and Falling Spring. There's also the Glade Top Trail National Scenic Byway and the Boston Mountains in northern Arkansas. The Mark Twain National Forest also has 7 designated wilderness areas totaling 63,000 acres: Hercules Glades, Piney Creek, Rock Pile Mountain, Paddy Creek, Bell Mountain, Irish and Devil's Backbone Wildernesses. There's also the Berryman, Crane Lake, Ridge Runner National Recreation Trails and the Ozark Trail. Fishing, golfing, camping, canoeing, antique shops, climate, amenities and much more! 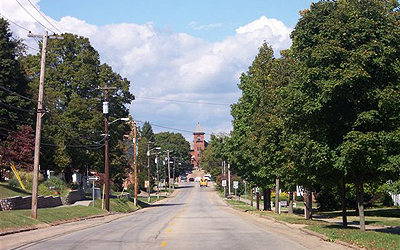 Fredericktown and Madison County offer fun for the whole family! Come by our office today and tell us about your real estate needs. We're here to help.